If you've been missing some Cise Star in your life, as we all have, this new track from Marcus D will leaving you feeling more than Melancholy Hopeful. Reminding us of his gifts, Marcus D has his fingerprints all over this release with perfected use of horns, strings and just the right amount of boom-bap. Funky DL, Substantial and Cise Star provide a perfect escape from lightweight verses that smack of packaged, made-for-radio music. It's something like time travel to 2005 when Nujabes was still around and kicking. This is the third single off Melancholy Hopeful, Marcus D's upcoming sophomore release so stay tuned for more. 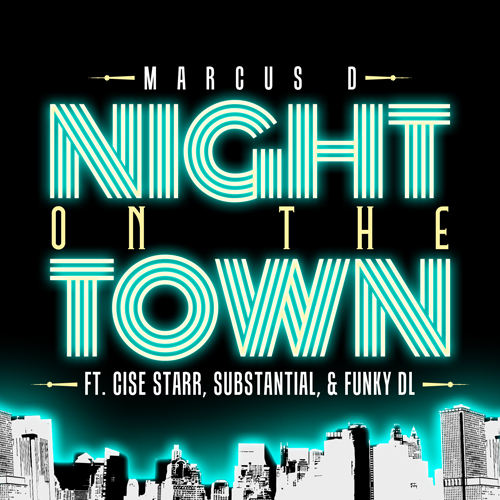 Stream the single below and head over to Marcus D's Bandcamp page to cop a digital download.